Today’s customers access business services that are available online anytime, anywhere and from any type of device. To satisfy these new expectations, every enterprise must transform the way it operates its business. Enterprise IT, which was once considered a back office support function, has become the new front office. Every enterprise is forced to act just like how Amazon, Google, and Facebook are running their operations in terms of speed, scale and consistency. Earlier, enterprise IT workflow with silo-d roles and responsibilities like web developers, designer, application programmers and database administrators is fast becoming extinct. Need for faster cooperation between specialists is forcing the emergence of a new culture and toolsets to meet the radical re-invention of the enterprise IT workflow. DevOps is the name for this transformative change happening across all global enterprises today. The developers’ job is to create new features to the company’s software and the operational team’s job is to ensure that the services are running stable and fast without outages. In many enterprises, there is a constant friction because of the conflict of interest of the developers who want to rush through new features and the operations teams pushing off the deployment due to fear of failures. Is there a common middle ground between the developers and operational teams? From a business perspective, the operations team’s job is to “enable” the business. It applies the same to the development team as well. The middle is grounded in the business perspective which stipulates that both the developers and operations team are there in the first place to enable the business. As business is facing the need to change faster and faster, change management becomes a mission critical task and responsibility for any digital business because the scale at which changes occur has increased drastically. Hence enterprises need professional change managers who can balance the development vs deployment perspectives. These change managers need to be multi-disciplinary with sound knowledge across development, testing and operations.They should be able to glue these domains together to ensure a smooth transition of code consistently. These business-enablers are called DevOps. DevOps engineers are the people who sit between the development and operations and use automation to reduce the cycle time from development to production. DevOps is not just tools. As important as the technical knowledge is the ‘DevOps Mindset’ – a personality type and approach that can help break down siloes, and collaborate more effectively. Technical skills alone do not make an effective DevOps engineer. A typical DevOps engineer would have expertise in development, testing and operations. (S)he would be a mature and do-all person. (S)he will have deep technical skills in tools such as Puppet, Chef, Ansible, GIT, Jenkins, Vagrant and Docker. (S)he will understand cloud platforms and how to use infrastructure automation to leverage this to best effect. 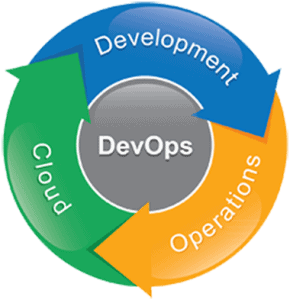 As the velocity of digital business increases day by day, the need of DevOps will only grow. With the maturing of DevOps tools, evolution of DevOps as a specialized tech function & clear differentiation from build and release engineers or system administrators, demand for DevOps will increase. More people are expected to specialize in DevOps engineering by obtaining the required skill sets. As the visibility of DevOps activities within the business would grow, management’s supportfor DevOps will increase leading to increase in pay scales. According to the results of a survey by CA Technologies on the study on the application economy and the role of DevOps, 88% of 1,425 IT and line of business (LOB) executives already have or plan to adopt DevOps sometime within the next five years. In a 2015 Survey conducted by Incasula, the median salary for a DevOps professional is $105,600. DevOps feel good about their job stability. Approximately 62% of respondents reported having no concerns about their job stability, while less than 12% claimed they were very concerned. When it comes to advancing DevOps career and increasing market value, respondents advised to improve their operational skills (51%), communication skills (49%), and analytical (38%) skills. As DevOps tools like Puppet, Chef, Ansible, GIT, Jenkins, Vagrant and Docker are gaining mainstream acceptance rapidly, skills on these toolsets will be in great demand. DevOps is a job category that has a promising future and also provides a sustainable career path, especially for middle-age engineers.